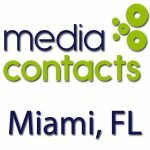 This database is a highly targeted media contact list for the minority market. 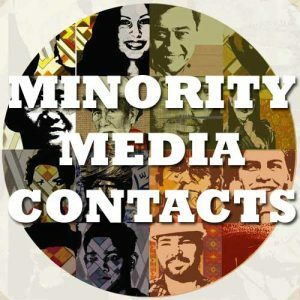 Minority media outlets in the United States is the concept of having ownership of media outlets to reflect the demographic population of the area which the media serves. 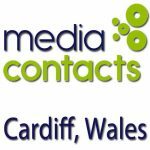 This is to help ensure that media addresses issues that are of concern to the needs and interests of the local population. Even though radio and television are used by many Americans, with over 235 million accessing radio alone every week, there are a growing number of outlets for minorities and other special interest groups to broadcast information. Low Power FM stations were created by the FCC in 2000 to allow FM broadcasts to a neighborhood or community. These are non-commercial in nature and can by run community groups, churches, special interest groups, or individuals. They have a very limited range but their signal is able to be received by anyone in the area with an FM radio. The cost is fairly low to run and the information contained is very local. Low Power FM stations have grown in popularity, with over 800 active stations. A quickly growing trend is having Internet based news and information sites that are owned and operated by minorities or individuals. The ease of entry into this market is very high and the cost to start an Internet based outlet is very low. They can be easily designed to reach a target market and updated very easily. They are seen by major broadcasters as a “competitive reality” that will change the ways in which many consumers of all races access information. This list includes approximately 4,000 Radio, TV, Newspapers and Magazines of the Hispanic, African American and Asian communities. 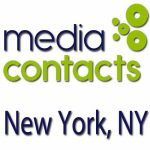 Contact details include the Media type, Address, Phone, Fax number, Email, City, State, Ethnicity of the Media Outlet’s audience and other information as well. Publicity for your small business can be focused with this spreadsheet.